Michigan’s largest electric utility plans to close three major coal-fired electricity generation plants by the end of 2023. 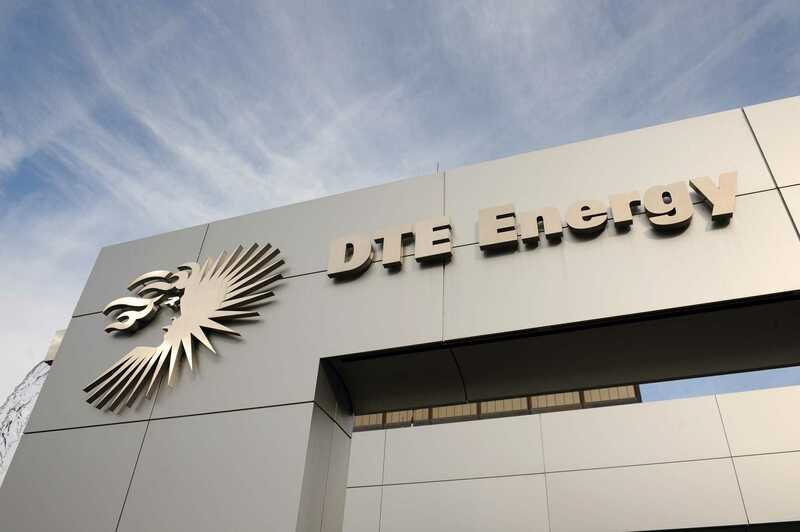 The facilities – in River Rouge, East China Township and Trenton – produced 25 percent of all the electricity generated by DTE Energy in 2015, according to a company statement. The regulated monopoly that provides electricity to southeast Michigan and some other regions plans to replace the power currently generated by its coal-fired facilities with natural gas, solar and wind. By the end of 2023, the company will have closed six coal-fired electricity producing plants since 2011. It will then, it says, have two remaining coal-fired plants with a maximum electricity production capacity of roughly 4,400 megawatts. The power source changes will mean that by 2023, DTE will be able to generate 1,900 fewer megawatts of the nonintermittent electricity that is produced by coal- and natural gas-powered plants, when compared to 2011. Jason Hayes, environmental policy director at the Mackinac Center for Public Policy, said that making Michigan’s energy portfolio less diverse makes it less reliable for residential customers. “Michigan’s monopoly utilities have clearly and repeatedly stated their intentions to move away from a balanced energy portfolio — made up of nuclear, natural gas, coal, hydroelectric, wind and solar; an energy portfolio that they have stated allows them to provide Michigan with reliable, safe, affordable, and clean energy,” Hayes said in a statement. According to DTE Energy Communications Manager Brian Corbett, the company knows that it will need to build new natural gas-powered plants to replace much of the output of the coal-fired electricity generation plants it’s retiring. “With the level of coal-fired capacity being retired, over 50 rigorous scenarios were developed and each one showed a need for 24/7 energy source replacement (i.e., the new natural gas plant we’ve been discussing). So that’s why DTE filed a Certificate of Necessity in July, proposing a $1 billion investment to build a 1,100 megawatt power plant fueled by cleaner, low-cost, and abundant American natural gas,” Corbett said in a statement. In 2016, 36 percent of Michigan’s electricity was generated with coal, 26 percent with natural gas, 28 percent with nuclear, 8 percent from renewable sources and 2 percent from other sources, according the U.S. Energy Information Administration. Hayes calculates that roughly 2 percent of the renewable-source electricity consumed in Michigan in 2016 was imported from other states, based on data from the same agency. The maximum electricity generation capacity of the coal-fired facilities DTE has closed since 2011 and plans to close by 2023 is roughly 3,000 megawatts, according to company data. DTE has not brought online a new gas-fired generation plant since 2002, according to the federal government, but it plans to add 1,100 megawatt hours of gas capacity by 2022. The company’s gas-fired generators have a capacity of 2,800 megawatts. DTE has added 1,000 megawatts of electricity capacity from renewable sources since 2009. According to Corbett, the company plans to add 4,000 megawatts in renewable capacity over the next few decades. Currently, a majority of Michigan’s renewable energy is produced by biomass and wind turbines. Unlike gas and coal, most Michigan renewable sources are considered intermittent. If the wind is not blowing and the sun is not shining, the power to run Michigan’s homes, factories and businesses must come a nonintermittent source, like coal or natural gas. Solar photovoltaic arrays and solar thermal energy facilities in Michigan produce electricity 13 percent of the time, according to the Michigan Public Service Commission, which regulates the state’s utility monopolies. Wind turbine farms produce electricity 36 percent of the time, on average. The capacity factor for coal-fired plants is 53 percent while that for natural gas-fired plants is 56 percent. Both numbers come from the Energy Information Administration. DTE does have access to a limited amount of power storage, which can help on calm and cloudy days. But according to Corbett, the company doesn’t believe any current storage solutions are economically viable. Michigan residents pay the highest retail electricity rates in the Midwest, according to federal data.